2,750 participants and their accompanying persons, over 500 speakers and moderators, 5 plenary sessions, 50 invited speakers, 50 sponsors and 30 exhibitors – Time to look back on five exciting days in Berlin. 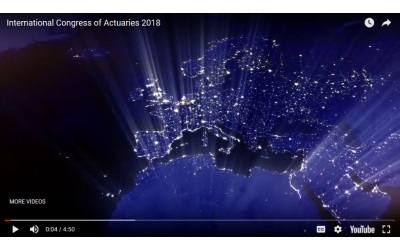 With the brand new congress movie which captures the best shots and scenes of the 31st International Congress of Actuaries in Berlin. And don’t miss to have a look at our congress photos available here.